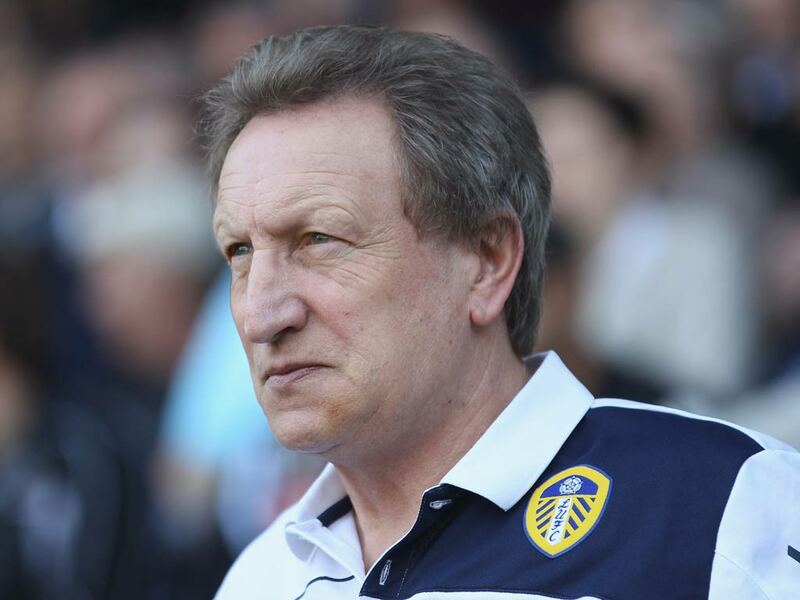 » Time to go for Neil Warnock? To Me, To You, To Me? Time to go for Neil Warnock? “What the —- is going on?” asked 4,700 Leeds United fans as another lacklustre display saw The Whites succumb to a 2-0 defeat away to bottom of the Championship, Barnsley. While the result was slightly less embarrassing than previous trips to Oakwell, the performance wasn’t. “The worst game I’ve seen in 30 years following this club home and away, Warnock has completely lost the plot” commented one regular as he made his way to the exit with 10 minutes left on the clock. No doubt a knee-jerk response to the dismal performance we’d just witnessed, but his reaction was nonetheless justified. Moaning fans are commonplace in football, it doesn’t matter how good a team has it there’ll always be someone objecting to something. But the complaints and criticisms of Neil Warnock’s management style have spread in recent weeks to what seems like a clear of majority of supporters demanding a change in management. Hoofball – Never has a team been less suited to the direct approach Warnock plays. A midfield featuring the likes of Paul Green, David Norris, Sam Byram, Michael Tonge and now Ross Barkley are completely bypassed by hoofed clearances from defence, clearances which more often than not return possession to the opposition. Players played out of position – Let’s be honest here, Lee Peltier is no more a left-back than I am an astronaut, and why on earth is Ross McCormack not utilised as the outstanding Championship centre-forward he clearly is? The contract situation – The uncertainty surrounding Neil Warnock’s future must surely be an issue for players? For all they know, Neil Warnock could walk away at the end of the season and be replaced by a new manager who doesn’t consider them to be part of his plans. Especially those Warnock has brought with him from previous clubs. Strongest XI – Half a dozen changes per match has fans totally confused as to who our strongest starting XI is, but more worrying is that Neil Warnock doesn’t seem to have any idea either. Far worse than the commonly cited criticisms listed above however, is that Neil Warnock seems oblivious to the fact we have problems. There’s always someone else to blame, whether it be individual players (not Michael Brown though) or the referee (who was apparently at fault for Leeds not turning up today), there’s never once been an acknowledgement that the manager himself got it wrong. And he has got it wrong. Many times. Today for example he got the half-time team talk very wrong. I don’t know what he said but when Leeds United’s players exited the field to a chorus of boos from the travelling support, it shouldn’t have been difficult to inspire a better second half performance. In the five years this site has existed and throughout all the years I’ve supported this club, not once have I called for the manager’s head. But I don’t see a way out of this for Warnock. The performances have been poor all season and the same problems persist, there has been no improvement whatsoever – if anything, things have got worse. Today was the worst performance of the season, but it’s beat off some strong competition for that “honour”. But the reasons Warnock must go now aren’t limited to the poor performances we’ve witnessed this season, GFH have to consider the longer term future of this club. Why give money to a manager whose commitment doesn’t extend beyond the next five months? Why give him money to recruit players our next manager might not consider part of his plans? It’s wasteful, it doesn’t make any sense. Not when you consider our only hope of reaching the play-offs is a miracle of biblical proportions. The sensible thing to do here is replace the manager and start building for a serious push with someone committed to Leeds United. Warnock out – Agree or disagree? Vote and comment below. Founded in 2008, The Scratching Shed is an independent fansite written by, and for, the fans of Leeds United Football Club. If you're interested in contributing to the site or would like to get in touch, please email admin[at]thescratchingshed.com or contact us on Twitter @TSSLUFC. © 2008-2018 The Scratching Shed.